Comment: I would like to get an estimate for installing spray foam insulation for a complete remodel. Comment: I would like to get an estimate for installing insulation ina complete remodel. I don't know which type yet. Comment: new garage with apartment above. Comment: Finishing a basement space into a media room and want to soundproof the space so that bedroom above can be used when someone is watching a movie, etc. Comment: 20 yo cape cottage on Hinkley's pond in Harwich. The batting insulation installed in the cellar ceiling has deteriorated and should be replaced (estimated sq ft is 3500-4000 sq ft). If possible job should be complete by June 15th to avoid summer renters. 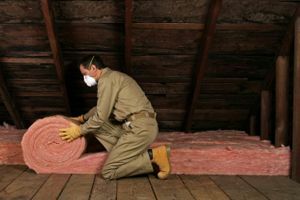 Building Science & Construction, Inc.
Harwich Insulation Contractors are rated 4.88 out of 5 based on 10 reviews of 1 pros. Not Looking for Insulation Contractors in Harwich, MA?